​​Chelsea will return to Stamford Bridge for the ​Europa League's Round of 32 action as they host Swedish side Malmo FF on Thursday afternoon. The match will kick off at 3 p.m. ET. The game will be aired on UniMas, with streaming available on Univision Deportes, B/R Live, and fuboTV. Additional streams for the event can be found via Reddit's ​Soccer Streams subreddit at ​this direct link. Chelsea took down Malmo in Sweden to earn a pair of away goals which can benefit them if the match comes down to aggregate scoring decision. They hold a 2-1 lead on away goals at the moment, so Malmo will have their work cut out for them if they want to stun the Premier League side and advance to the next round. The Blues will be without some key players as winger Pedro, defender Davide Zappacosta and goalkeeper Kepa Arrizabalaga will all be sidelined with injuries. Malmo will be hoping that Franz Brorsson and Guillermo Molins will be healthy enough to take the pitch for them in the outing. Chelsea have been out of form as of late, dropping three of their past five games in all competition, including three shutout losses in the Premier League. The Blues have lost 4-0 to Bournemouth, 6-0 to Manchester City and 2-0 to Manchester United all in the span of a month, so a big win against Malmo would do wonders for the team's confidence. 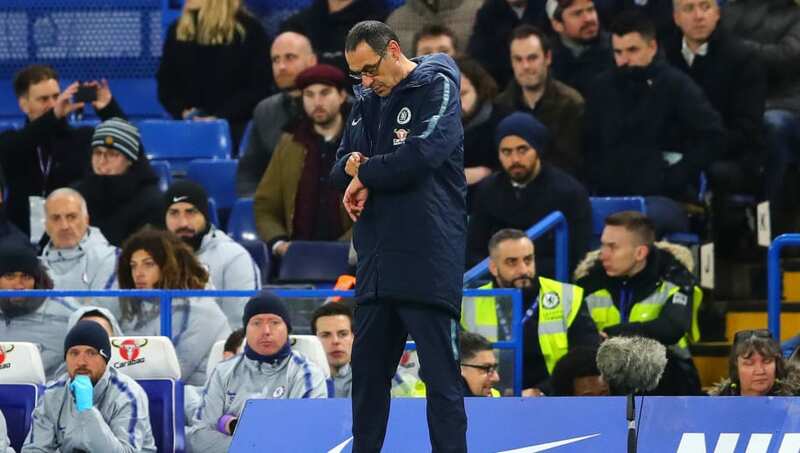 This will be an important game for the future of head coach Maurizio Sarri who has maintained his unique play style despite the team's lack of form.